Cancer, aging-related diseases and other illnesses are closely tied to an important enzyme called "telomerase." UCLA researchers report in the journal Cell the deepest scientific understanding yet of this once-mysterious enzyme, whose catalytic core—where most of its activity occurs—can now be seen in near atomic resolution. 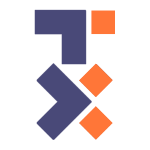 Telomerase contains a specialized "reverse transcriptase," or class of proteins, that has four major regions and several sub-regions. 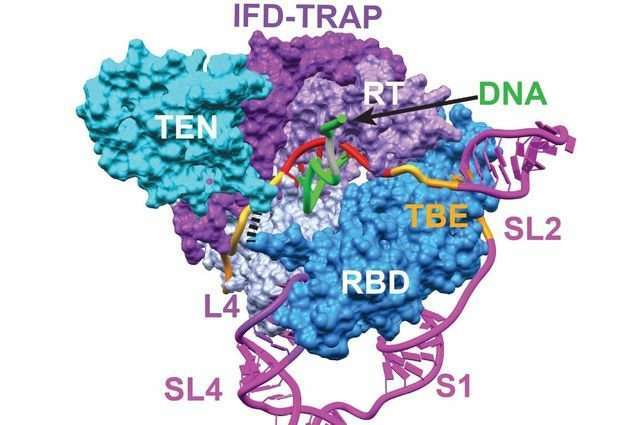 In this research, the scientists have revealed a large, previously unstudied sub-region called "TRAP" in the enzyme's reverse transcriptase. Instead of copying from DNA to RNA—typically DNA makes RNA, which makes proteins—reverse transcriptases use RNA to make DNA; one that's especially well-known is the HIV reverse transcriptase, the target of many drugs. "A joy of science is the moment when you are the first person in the world to see something important," said Feigon, a member of the National Academy of Sciences. "I remember looking at this structure when we got it and thinking we had solved a significant piece of the puzzle and were the only people who had seen this. It's very exciting." What are the implications of the research for fighting cancers? Cancer cells keep reproducing, and for this to occur, telomerase must be highly active—which it is not in healthy cells. To reduce this, it would be useful to know how to target the enzyme's activity. This new research brings this goal closer to reality by providing clues about what parts to target.